When you are involved in a car accident, your risk of injury is significant. In fact, one of the most common injuries to occur in a collision is broken bones, which vary in severity. Here are 5 bones that are most likely to break in a car accident, and what to do if you or a loved one were injured in a crash. A broken arm can result from the force of airbag deployment. Because of a broken arm, daily tasks are difficult to complete. Depending upon how severe the break is, surgery and physical therapy may be required. The feet are one of the first bones to break in an accident because they are in a vulnerable position. A broken foot can put someone out of work for weeks. Chronic pain is another issue with a broken foot, even after the break has healed and mobility has been regained. An airbag can also break the nose, which may require surgery to fix and could cause disfigurement or breathing problems. In some cases, individuals who have had their nose broken in a car accident need to have cosmetic surgery to correct the shape of the nose or remove scars. Hands can break easily during the impact of a car accident, especially if the driver uses them to brace for the crash. Because the bones in the hand are small and complex, there is a higher chance of a broken hand requiring extensive medical treatment, like surgery. For individuals who work with their hands, a broken hand can put them out of a job for several months or more. A collarbone fracture or full break is another common car accident injury. 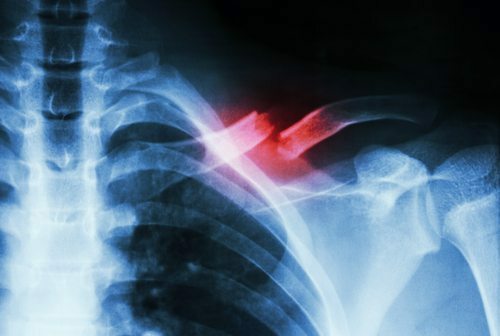 Actually, since collarbone fractures are one of the most painful breaks a person can experience, the healing process takes a long time and movement and activities may be restricted. If you or a loved one have been involved in a car accident and have broken one or more bones, you may have significant medical bills, pain, and suffering ahead of you. Contact Appalachian Injury Law to learn about your rights to compensation if the accident was caused by someone else’s negligence. Call now for a consultation to speak with an experienced car accident lawyer at (706) 515-1995.